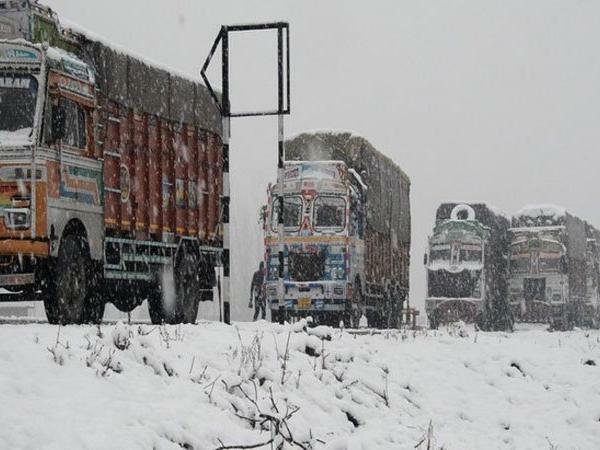 Srinagar: The Jammu-Srinagar highway remained closed for the sixth consecutive day on Monday, stranding hundreds of vehicles and creating a crisis of essential supplies in the Kashmir Valley. Many stranded vehicles are carrying essential supplies for the landlocked valley. Due to the non-availability of essentials, a crisis situation has arisen there. In addition to severe shortages of edibles like vegetables, poultry products, mutton, there is a shortage of petroleum products as well.